Buy online Thermoquiet 100 sq. ft. 4 ft. x 25 ft. x 1/8 in. 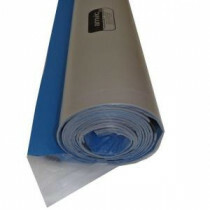 5 in 1 Thermal Acoustic Insulated Underlayment TQ100B35 and leave review or share with Your friends.